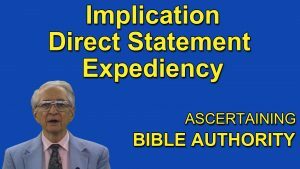 Expediency has a very vital part in our relationship to God in carrying out obligations that are placed upon us by God. But there is not expediency where there is no obligation. 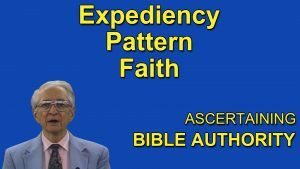 In this lesson, Roy C. Deaver gives a lesson on this important topic. To be a true follower of Christ, we must make sure to know and understand God’s Word. Everything that we do, from how we live our lives to how we worship, must be be given authority from the Bible. 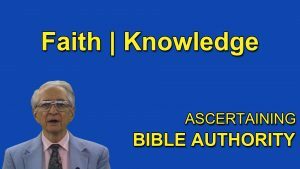 Join Roy C. Deaver as he presents a lesson on this topic. 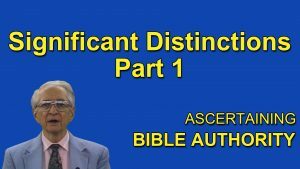 In handling aright the Word of God and striving to understand the matter of Bible authority, there are certain definite distinctions between the religious world and the church that was established in the 1st century. In this video lesson, Roy C. Deaver discusses some of these distinctions. To understand Bible authority, Christians must understand the significant distinctions that separate us from other world religions. 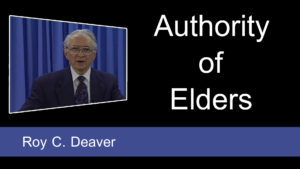 Roy C. Deaver continues his presentation on this topic in the video lesson. God authorizes by way of example. 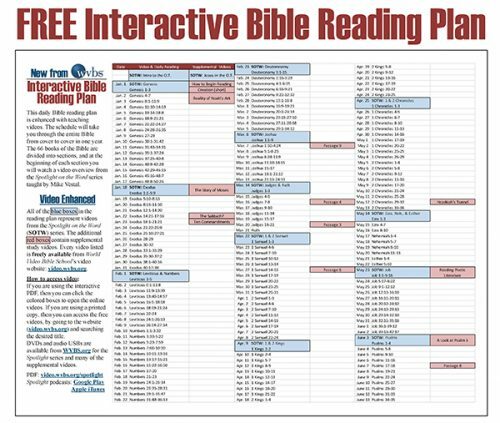 This means that when we read of an example or pattern set forth in the Bible, it is binding. 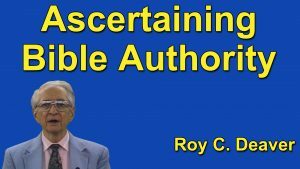 In this video lesson, Roy C. Deaver discusses this topic in-depth. 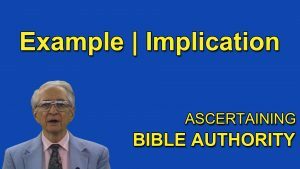 When an action, fact, or teaching is absolutely demanded by the Biblical information at hand (without being specifically stated) then that action, that fact or that teaching is a matter of implication. 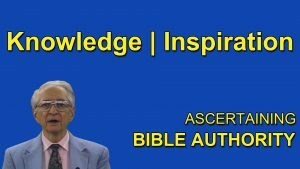 Join Roy C. Deaver as he gives a detailed and in-depth lesson on this topic. 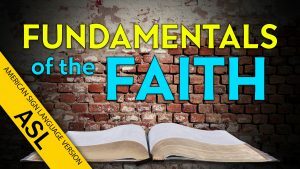 What is the true meaning of Biblical faith? Does faith imply doubt or uncertainty? 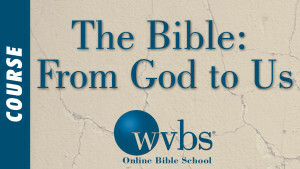 In this program, Roy C. Deaver will discuss the topic of what it means to have true Biblical faith. 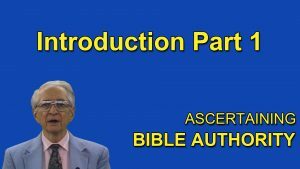 In this last session of “Ascertaining Bible Authority” Roy C. Deaver discusses the topic of whether or not we can truly know the Bible is from God and if it is indeed His inspired Word.